History/Mythology: The word Septarian comes from the Latin word ‘septum’ which means seven or ‘saeptum’ which means a wall or enclosure. A Septarian nodule is a concretion formation – concretion is a hard mass that is created by the accumulation of local surrounding matter, this is usually formed in a sedimentary area. Septarians are unique in that they are formed from volcanic eruptions that attracted dead sea life and chemically bond them together to form the ‘mud balls’ or nodules. Septarian is made up of a combination of Calcite, Aragonite and Limestone. 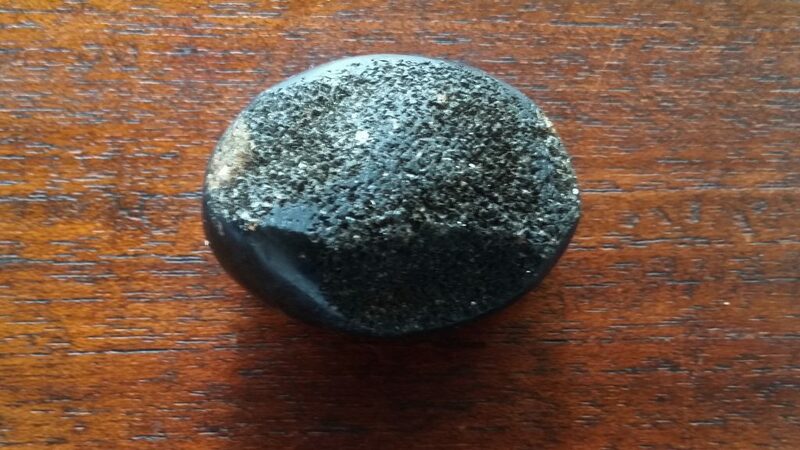 As the water evaporates and the nodules dry out they shrink and tend to form a very distinctive pattern with seven points facing each direction. A grounding stone, Septarian allows for better tolerance and patience, as well as emotional flexibility. It can gauge the underlying cause of an illness when meditated upon, and focuses the body into healing itself. Septarian can absorb your energy when held over a period of time and transmits that energy into strength when needed. 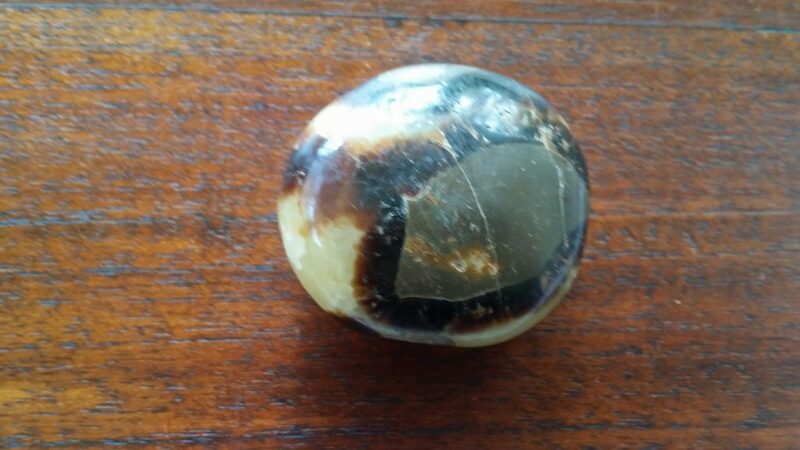 Septarian or Dragon Stone is a very grounding stone and allows you to real feel like your feet are firmly planted, it gives you the energy to carry on. It allows you to be more tolerant of those around you and to have patients in every situation. Septarian will assist you with your confidence particularly in the area of public speaking. It will allow you to have confidence in what you are saying and as a result engage and hold your audiences attention. Healing – Helps with joint pain and healing from injuries particularly bruises, helps with aches and pains in the muscular and skeletal area, helps with nightmares and night terrors. Can be used in all meditations particularly when in need of grounding and finding ones place. Wonderful as a healing tool when working on the root or base chakra areas. Great to wear when you have to public speak and need a confidence boost. Carried as hand warmer to comfort and ground. Place under bed or pillow to assist with better sleep.